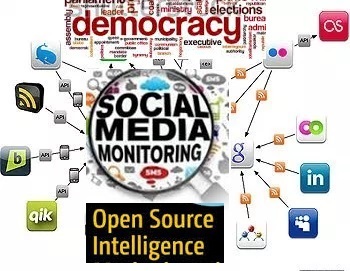 The United States Supreme Court has approved amendments to Rule 41, which now gives judges the authority to issue search warrants, not only for computers located in their jurisdiction but also outside their jurisdiction. Premium Times newspaper reports that a former Minister of State for Education, one Mrs. Iyabo Anisulowo, has been kidnapped by unknown gunmen. 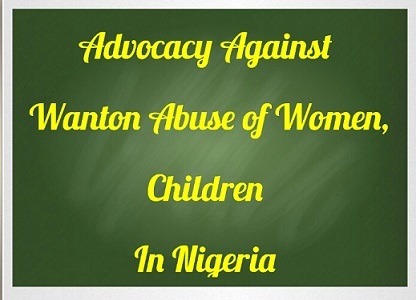 The Vicar General of Catholic Diocese of Otukpo and Parish Priest of Catholic Church, Okpoga, Rev. Fr. Dr. John Adeyi has been kidnapped by unknown gunmen. 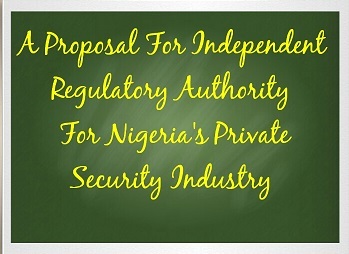 This is a memo to Nigeria's Minister of Internal Affairs proposing an Independent Regulatory Authority to regulate the Private Security Industry in Nigeria. Independent regulation of the private security industry is a global best practice hence Private security industry stakeholders and professionals in Nigeria are encouraged to peruse this proposal, stimulate a national debate aimed at implementing an Independent Regulatory Authority. Punch newspaper reports that some gun-totting hoodlums on Friday abducted the Permanent Secretary, Ministry of Finance, Mrs. Adebimpe Ogunlumade; Director, State Audit, Mr. Tajudeen Badejoko, and their driver, Mr. Oladapo Arogundade. 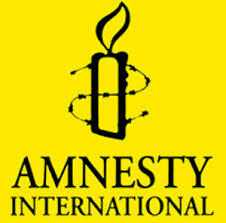 Mass slaughter of hundreds of men, women and children by soldiers in Zaria and the attempted cover-up of this crime demonstrates an utter contempt for human life and accountability, said Amnesty International as it publishes evidence gathered on the ground revealing how the Nigerian military burned people alive, razed buildings and dumped victims’ bodies in mass graves. Vanguard newspaper reports that a non-academic staff of the Delta State University, Abraka, Mr. John Ogeleke, was yesterday kidnapped at Kwale, Ndokwa West Local Government Area, Delta State by suspected Fulani herdsmen. The Nation newspaper reports that five farmers have been killed and nine injured by Boko Haram landmines in Yobe Goniri area of Gujba local government area in Yobe state. PRESS RELEASE: PERVADING VIOLENT EXTREMISM AND SPORADIC KILLINGS IN AGATU, TARABA, ABIA STATES AND OTHER PARTS OF NIGERIA. 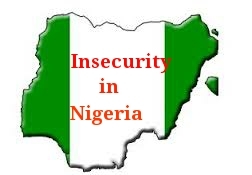 NIGERIANS UNITE AGAINST INSECURITY AND TERRORISM DENOUNCES PERVADING VIOLENT EXTREMISM, EXTRAJUDUCIAL AND SPORADIC KILLINGS IN AGATU, TARABA, ABIA STATES AND OTHER PARTS OF NIGERIA. 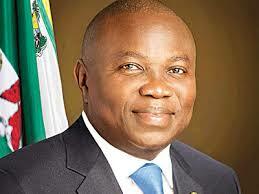 Nigeria's Department of State Security (DSS) on Wednesday arraigned two artisans before an Isolo Magistrate Court for allegedly cloning the mobile line of the Lagos State Governor, Akinwunmi Ambode. 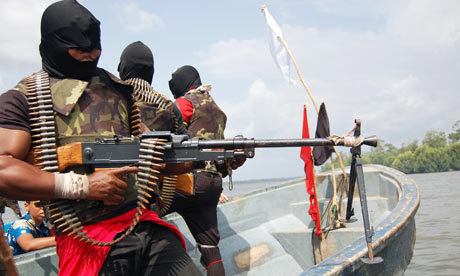 A new militant group in the oil-rich Niger Delta region of Nigeria that goes by the moniker - Niger Delta Avengers, has threatened to make the country's economy worse by acts of sabotage, particularly in the oil sector. 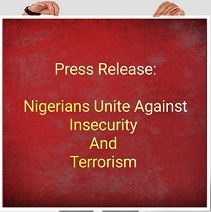 The threat, made via a statement issued by the group, is a response to comments made by President Muhammadu Buhari during his visit to China. 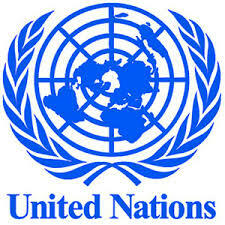 The United States Ambassador to the United Nations, Samantha Power, will be in Nigeria between Thursday and Friday to highlight the growing threat Boko Haram poses to the country. The Acting General Officer Commanding (GOC), 7 Division Nigerian Army, Brigadier General Victor Ezugwu and his convoy were about 8.30am, Tuesday, ambushed by suspected Boko Haram terrorists during the general’s visit troops in Bama local government area of Borno state. 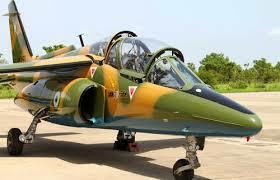 The Lagos State Government has advised Lagosians not to panic as the Nigerian Air Force commences night flying training exercise in the state tonight. Authority Newspaper reports that here is tension in Umudi­um village in Umumbo community, Ayamelum Local Government Area, over the alleged killing of 45-year old Mr Ekwunife Echim Okolo by Fula­ni herdsmen in the area. Sequel to the supposed killing of some northerners in the South-east by alleged members of the Indigenous People of Biafra (IPOB), a pressure group, the Conference of Minority Tribes of Nigeria has warned that Nigeria may be heading for the 1990 Rwanda styled genocide, if the perpetrators and their sponsors are not brought to justice. 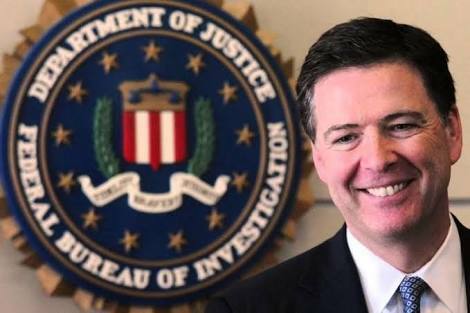 The Federal Bureau of Investigation - FBI Director James Comey gave a presentation at Kenyon College in Ohio, United States of America last week. 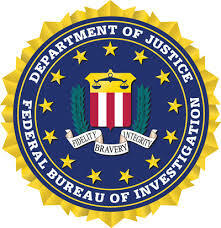 He submitted that “absolute privacy” has never existed in America – until now, when encryption by default creates spaces where law enforcement can not go, even with a court order. 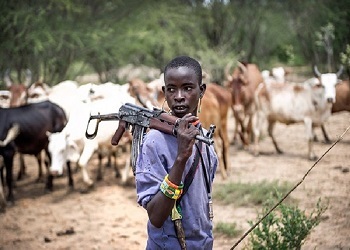 Daily Post newspaper reports that residents of Angai and Ndole villages in Gashak Local Council area of Taraba State have reportedly fled to neighbouring communities in the Republic of Cameroon and nearby local council areas after Fulani herdsmen invaded the areas on Monday, killing scores of persons. A Channels TV reporter in Owerri, Temitope Kutiyi has been abducted from the Imo State capital. He was taken from his house around Federal Housing Estate, Egbeada yesterday, according to an eyewitness who told Daily Trust that the suspected kidnappers numbering eight broke into his house through the iron door and bundled him away to an unknown destination. The Oodua Peoples Congress, OPC has threatened to pay the Fulani Herdsmen back in their own coin if they don’t stop threatening the peace of Yoruba land and it’s people. The OPC lamented on the continuous and repeated attacks by the Fulani Herdsmen on the former Secretary to the Government of the Federation, Chief Olu Falae adding that if such situations persists, they’ll be forced to retaliate in greater folds. Report from newsroom.ng have it that a student of the University of Port Harcourt has been shot dead amidst the ongoing protest over a change in the university’s fee policies. 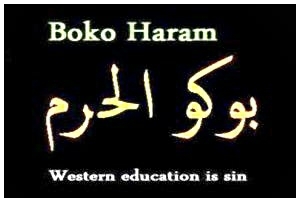 On the night of April 14-15, 2014, Boko Haram militants brazenly abducted plausibly 276 school girls in one swoop from Government Secondary School Chibok, Borno State. A handful of the girls supposedly wriggled free while a chunk of them are still under Boko Haram’s captivity. Thanks to Social media and the #BringBackOurGirls campaign, this atrocious incident generated global awareness and outrage. Nearly two years down the line, the Chibok girls’ abduction has defied the dragnet of Nigeria’s security, intelligence agencies and that of other advanced countries. Sea Pirates have attacked a Turkish cargo ship off the coast of Nigeria, kidnapping six crew members in a region which has seen increasing piracy in recent years, a Turkish maritime news agency reported Monday. Nigeria's Department of State Ser­vices (DSS) has arrested a dreaded commander of Boko Haram sect, Mohammed Usman, who is believed to have masterminded several acts of terror in different parts of Nigeria. Authority newspaper reports that communities in Ogbaru Local Government Area, Anambra State, South East Nigeria are in serious trouble as kidnappers and ritualists have in­vaded the area. It is so bad that kidnapping is almost a daily occurrence in the local council. Aside kidnapping, all sorts of crime also thrive in the zone. The owner of the popular Bovina Hotel in Ilorin, Chief Ifeanyi Okoli, has again been kidnapped. 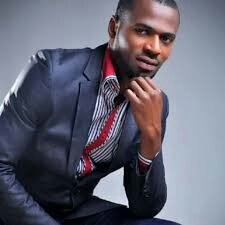 The News Agency of Nigeria (NAN) reports that Okoli, the owner of the three-star hotel, was first kidnapped five years ago in Ilorin. 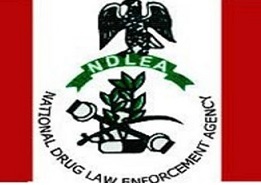 The National Drugs Law Enforcement Agency (NDLEA), Malam Aminu Kano International Airport Command, has intercepted 10.6kg of high grade heroin worth N200 million. 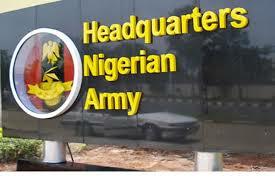 The Nigerian Army 3rd Brigade troops deployed on Operation Salama in Jigawa State North-West Nigeria have intercepted and destroyed poisoned fish allegedly brought to the region by suspected Boko Haram terrorists from Baga in Borno State. 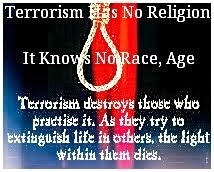 WASHINGTON — The brothers who carried out suicide bombings in Brussels a while ago had long, violent criminal records and had been regarded internationally as potential terrorists. But in San Bernardino, Calif., last year, one of the attackers was a county health inspector who lived a life of apparent suburban normality. 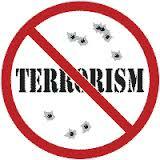 Information from the Nigerian Army indicates that the war against terrorism and insurgency is being won. Defence authorities reports that not less than 800 members of the dreaded Boko Haram sect had surrendered to the military in the last three weeks. 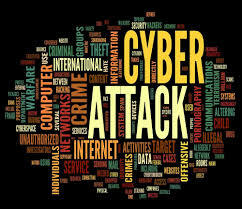 Authorities say the Iranian computer hack of a New York dam is the symptom of a huge weakness in the U.S. infrastructure -- dams, stadiums, traffic controls and power grids that can be accessed by anyone, including hostile nations or terrorists -- with simple passwords or no passwords at all. 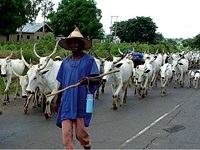 Community leaders of Ngodo, Mbaugwu-Uturu com­munity in Isikwuato Local Government Area of Abia State, have denied any involvement in the alleged ab­duction of five Fulani herds­men by suspected gunmen. Vanguard newspaper reports that four persons including the All Progressives Congress, APC, youth leader, were feared killed in another bloody clash between Fulani herdsmen and farmers at Tse Tia, in Tarka Local Government area of Benue State. 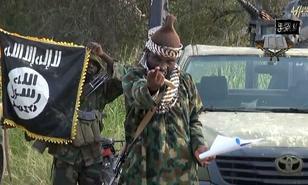 Boko Haram released a new video Friday denying any suggestions it would surrender, just over a week after their shadowy leader Abubakar Shekau appeared in a rare message looking dejected and frail. 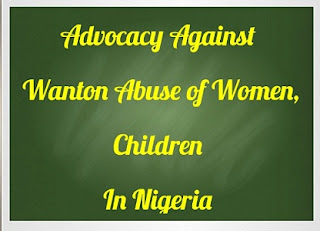 Apart from the abduction of 276 Chibok School girls nearly two years ago, the Human Rights Watch (HRW) asserts that ‘’about 400 women and children, including at least 300 elementary school students were also abducted by Boko Haram from the town of Damasak in Borno State between March 13 and 15, 2015’’. HRW recounts that the Damasak abduction is the largest documented school abduction by Boko Haram militants even though it drew less public attention and outrage than that of the Chibok girls in April 2014. Daily Trust Newspaper reports that the three Pastors abducted along Kaduna-Abuja highway last week Monday have been released by their abductors. 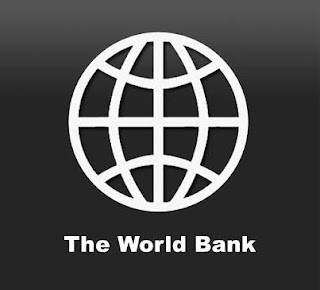 The World Bank is setting aside $800 million in support of the rebuilding of infrastructure devastated by years of Boko Haram insurgency in the Northeast.